A group of 53 Nigerians who recently asked President Umaru Musa Yar'Adua to resign because of ill-health has again written a letter to the president asking him to save Nigeria's democracy by writing to the National Assembly to say he has proceeded on medical vacation. This would pave the way for Vice-president Goodluck Jonathan to take over in an acting capacity, pending the return of the ailing president from King Faisal Specialist Hospital, Saudi Arabia, where he is being treated for a heart condition, noted the group. In a press statement titled “Save Our Democracy Now,” jointly signed by Yinka Odumakin, Osita Okechukwu and Buba Galadima, the concerned Nigerians urged Yar'Adua to comply with section 145 of the 1999 constitution. “We call on President Umaru Musa Yar'Adua to immediately comply with section 145 of the constitution which requires him to write to the Senate President and the Speaker of the House of Representatives that he has proceeded on medical vacation so that the vice-president can assume Presidential powers and run the country while he is away. We do not think this country should carry on this way beyond the next seven days," said the group. 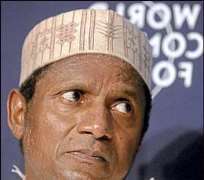 Yar'Adua's absence has given rise to abnormalities in the business of governing Nigeria, the group pointed out, adding that “Quite a number of developments have taken place since our call which have vindicated our stand that Nigeria should not totter on without a head." The group named the 2009 Supplementary Appropriation Bill addressing critical issues in the Niger Delta, passed by the National Assembly that cannot be signed into law because Yar'Adua is away. It also pointed out the Amnesty Programme has suffered a setback given the resumption of hostilities by the Movement for the Emancip-ation of the Niger Delta (MEND). The 2009 National Honours Award cannot be conferred because of the same reason, it stated. In addition, appointments of the new President of the Court of Appeal and the Chief Justice of Nigeria have been confirmed but they would not be able to assume office because their oath of office that should constitutionally be administered by the President cannot be carried out in his absence, said the group. Furthermore, the statement noted that by virtue of Section 148 of the 1999 Constitution which says only the president can preside over the Federal Executive Council (FEC) meeting currently presided over by the vice-president. Consequently, contractors who are taking approvals from such meetings are running a risk as decisions taken at such meetings are void and illegal, it declared. “Critical meetings of ECOWAS of which our president is chairman have been cancelled. Of Particular note were the meetings on Niger and Guinea where the Constitutions of both countries have been suspended by dictators," said the statement. The statement also reads: “The Group of 53 recently called the attention of Nigerians to the unhealthy development of President Umaru Yar'Adua going on medical trip abroad without handing over to the vice-president as stipulated by the constitution. “While sympathizing with the President and wishing him quick recovery, we did ask the president to consider it a patriotic duty to resign and allow his vice [deputy] to carry on the business of state. In torrents, all manners of 'patriots' of convenience descended on us calling us names. Today, the same sets of 'prayer warriors' are reportedly in power play of succession, while still prescribing hypocritical prayers for the people.